One month till Forbidden Rose hits the shelves. 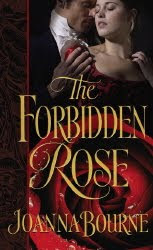 You can read more about Forbidden Rose on its webpage. Here. The cover is actually going to have more rose on it than this one on the left shows. See how the rose kinda went like Topsy and growed? I don't have any of these books yet. I think they have not been printed. Cutting it close, are they not? In any case, showing a nonchalant acceptance of theoretical merchandise, you can buy it here. Already pre-ordered it from Amazon. The trade version of Spymaster's Lady, too. I'm really looking forward to both! I was just in our local Borders. Lo and behold, there were 3 copies of the trade edition of SL with, squee!! !, an excerpt from Forbidden Rose. I couldn't love the opening more. I hope you like it, though you are a Tudor maven and not so much Turn-of-the-C19. I'll be interested to see if you find a similarity sensibility in the characters. We got two eras of battling ideologies, when you come right down to it. TSL is in BORDERS !! In like . . . a brick and mortar? Oh. Right. TSL Trade has the Rabbit Scene from Forbidden. I kept putting that scene in and taking it out again till everybody was sick of me dithering with it. I think the cover is lovely either way. Looking forward to reading the book. That's like me. I'm please with both of the covers. I am VERY much looking forward to having an actual book in my hands on this one. This is not a library book. This is a keeper. The question is, do I buy it in paper, which I prefer reading, but which then I have a harder time finding for rereads, or do I buy it on my Nook? Do you know if it will be available in Ebook form? I know we've had pictures for Grey, Annique, Jess, Sebastian and Adrain, for what they look like, but have there been pictures yet for Maggie and Doyle? Jo, the new edition of TSL is lovely--a pleasure to hold and behold. Berkley must be doing a great job of distributing the book, as our Borders has a horrible selection. I'm so glad the rabbit escaped the editor's knife. And I'm loving Adrian and his relationship with Doyle. You know how when you're about 384 months pregnant and there is not a bloody thing you can do about it except HAVE THE KID. That is how I feel about the release of Forbidden Rose. Sorta --"It will be late to counsel then or pray." It is not precisely Dread I am feeling but it is recognizably Dread's second cousin. A 'keeper'. Oh, you are so kind. I like the cover models for both Doyle and Maggie on Forbidden. I like the tension and subtlety of the pose. 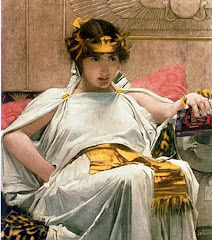 In fact, I just altogether like the cover. 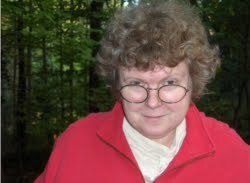 I will do a post on 'faces' of the characters at the end of May, closer to the time folks might be starting the Forbidden Rose book. And I'll probably repost the faces for other characters. I have been annoying my friends for suggestions . . . I have very patient friends. I will post the snippet of Forbidden Rose that is in the back of the TSL trade edition. The Infamous Rabbit Scene that breaks all the rules of how you're supposed to start a story. Maybe I'll do it the end of May. I want to put the snippet up when it's more or less possible for folks to say -- "Oh. That looks good," and go out and get holt of the book and I don't even have holt of the book meself right yet. 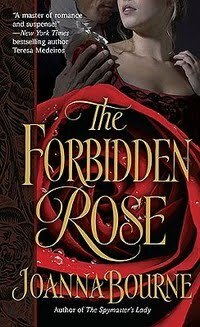 I was lucky to get a copy of The Forbidden Rose for review. Your writing is so, so beautiful. You should be so proud of this book. Oh. (jo lets out a breath.) Oh good. You like it. I'm glad you like it. I've got a copy in front of me for review and the rose is larger...covers part of his hand. Yep. I think the one on the left above is kinda concept and the one on the right above is the one they decided on. They're both nice. Be interesting to know why one was picked instead of the other. I finally got my own copy of the book yesterday, so I am quite excited.